Selecting an area for retirement doesn't have to be a hard decision, especially when you choose one of the beautiful cities or towns nestled around Oklahoma's Grand Lake. The area is known as one of the Green Country's most beautiful havens for outdoor recreation, relaxation and fun for the whole family. It is the home of the famous Pensacola Dam that played a major roll in the development of the area. Grand Lake is also home to picturesque natural trails, wildlife sightings, and unparalleled marinas. Although Grand Lake Retirement areas offer many small and quiet communities, many visitors are drawn to the Grand Lake O' Cherokees each year for fishing tournaments, parades and festivals. 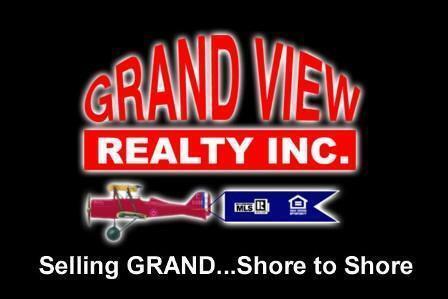 However, one of the best aspects of the communities around Grand Lake is that they offer retirement-friendly homes. Whether you want to live in a upscale gated community,select an exclusive waterfront home, or find a hidden country style home, the Grand Lake O' the Cherokees has it all. No matter how you would like to spend your retirement days, Grand Lake offers something for everyone. Whether you select a home in Disney, Tia Juana, Cleora or Grove, staying active is easy with the many outdoor activities provided around the lake. If you are an equestrian at heart, then you will love taking a Monkey Island Trail Ride trek. However, when you need peaceful surroundings, boat access or an RV hookup you can head towards the nearby Oklahoma state parks, such as Bernice, Cherokee, Honey Creek or Disney. Grand Lake state parks also offer walking trails, camping areas, a nature center and many other diverse amenities. Yet, you will also have access to miles of beautiful shoreline, picnic areas and swimming pools. Other popular activities and attractions on Grand Lake include the Lendwood Garden Tour, the Cherokee Queen River Boat Ride, and a short walk over the Grove Sailboat Bridge. Like most retirees, you may be concerns with how you will acquire heath care services within a rural area. The Grand Lake area provides several outstanding hospitals, clinics, family dentists and mental health services. For instance, you can acquire health care services from Craig General Hospital in Vinita, Integris Baptist Regional Health Center in Miami or Grand Lake Medical Park on Monkey Island. There is also Integris Grove Hospital in Grove, Grand Lake Medical Park in Ketchum and Grand Lake Medical Park in Langley. Whether you choose to live in Langley, Ketchum, Monkey Island, Miami, or Afton, you will have access to friendly physicians, pharmacies and clinics. Living in comfort is what retireing on Grand Lake is all about. You can select from many stylish and affordable homes within this stunning recreational area. Many of these homes offer private resort styled amenities with spectacular lake front views, golf views, cove views or pastoral views. Of course, you can also find private rustic retreats with ample yard space and plenty of room for family and friends. Contact a professional Grand Lake Real Estate Agent today and select a waterfront home, wooded hide-a-way or select a home within a gated community. Grand Lake Retirement means creating your own oasis and living the relaxing lifestyle of your dreams.